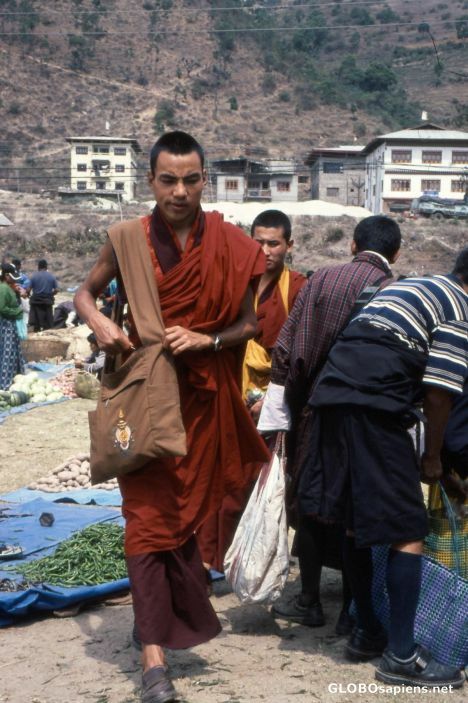 Khuruthang Market: The monk payed for his shoppings. The monks don't beg in Bhutan. They get money for their living from the government-.